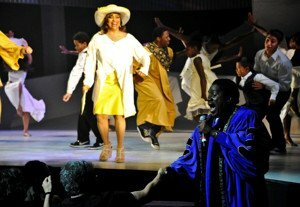 I had the honor of writing and arranging some of the music (along with Arturo Sandoval, Stevie Wonder, James Ingram, Thump, Rickey Minor, and others) for Debbie Allen’s new musical, Freeze Frame…Stop The Madness, which is currently playing at the Kennedy Center’s Eisenhower Theater, in Washington, DC. Here’s a review of the show that I thought you might all like to see. I hope you’ll get a chance to see the show, and please leave a comment about what you think of it!